Self entrepreneur and transforming social problems into sound solutions for sales. 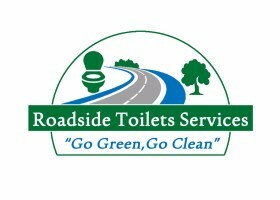 I'm constantly looking forward to save and serve fro both environmental conservation and human sanitation. This is through ensuring safely journey to long distance passengers by not being dropped along bushes and forests along major highways for toilets services. My project aims also against unhealthy tendencies of passengers throwing out plastic materials out of moving vehicles especially long distance buses. I’m personally dedicated to environments. I’m really a friend of environments and human sanitation. Travelled around the country by buses and see this a touching challenging problem and thus where my idea conceived from. I have a passion of entrepreneurship since way back to my childhood. Ever being a sugarcane selling boy around the village centres. Ever been a boy I used to go for second had harvest in farms. We also used to harvest cotton in large cotton plantains. All we used to do was to get some money to suffice self needs and schooling needs. I adopted business passions from our elders who were doing petty entrepreneurship around villages. Since then I had a dream of making life through myself and not through employment. In 2010 I managed selling home cattle which were starving due to lack of pastures, and I built home living house. I managed this within a 6 month long university holiday. After university studies I came out the streets for struggle where i had nothing in my pocket. My cousin trusted me and gave a petty capital for sharing the profit. In 2013, I started a clothing line shop where I shopped items from neighbouring, Uganda. In 2015, I won an environmental idea and the money wasn’t enough to operate the idea, so I injected the money in business. Until the moment I have managed to pay the equity money back to my cousin and I run my petty business by myself. The above entrepreneural experiences led to my current entrepreneural path.